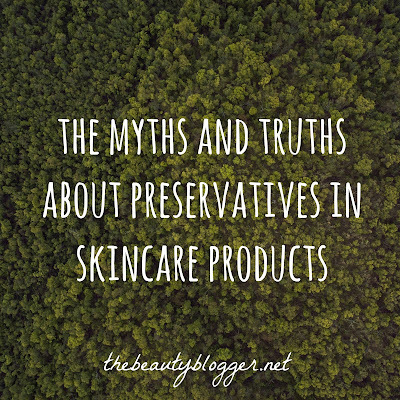 We've talked about "bad" ingredients in your skincare and beauty products before at length over the past 8 years here at The Beauty Blogger. You know the ones-- DMDM Hydantoin, Parabens, BHT, Formaldehyde, and about a dozen other ingredients I do not like to see in personal care products. Today, I am taking a different approach. IS all-natural the BEST way to go in every situation? The above product is one I received here for blog review. Upon opening, it had an "off" odor and mold. I have been concerned about the ingredients in skincare products for years now. I have been writing about the issue for more than 8. For me, natural beauty is not just eco-friendly beauty products or sustainable packaging, but also SAFER ingredients. I am also the first to admit that my opinions have changed a bit as far as ingredients go. I used to rely wholeheartedly on the EWG's Skin Deep Guide, but years later, I have a different view point. The EWG, in many ways, presents an alarmist point of view and doesn't get down to the nitty gritty and say that their rankings are all black or white--they do not say that there is a HUGE difference in an ingredient used at 100% concentration vs. 0.05% concentration. And, yes, there is a HUGE difference. Admittedly, I have relied too much over the years on the EWG. One cannot rely solely on the EWG, just as people need to accept that effects can be cumulative, so caution and research are needed. A couple years back, I was even thinking of changing my mind on using products preserved with phenoxyethanol as part of the ingredient makeup. I was introduced to a brand with a natural "preservative" derived from a rare tree bark that may have broad spectrum protection. I was skeptical, but kept a truly open mind. I was avidly using these products and then, wham--3 months later, I opened my jar of furry, mold covered face mask. My face cream soon had beige lumps and an odor. I was willing to take a gamble and have an open mind. And I was wrong. My original feelings on broad spectrum preservation were only validated after experiencing rancid items, mold, and skin irritation. The real problem is not "parabens may cause cancer" or "propylene glycol is the same thing as anti-freeze" (it is not, by the way). The real danger, I believe, is from what we KNOW FOR A FACT to happen: that improperly preserved products cause mold. They can lead to serious bacterial infections. They may cause staph. We know this for sure. A few months ago, I received skincare products for review from a direct sales company with NON-TOXIC in its name. Within 3 months, half of them had developed visible mold. This line contains a plethora of products lacking effective preservation. For the record, I am not in favor of products with parabens. They are too questionable for me. But if it came down to it and I was offered a completely natural, homemade unpreserved skincare product and a mass produced cream with parabens and could ONLY choose one or the other, I would choose the one with parabens. And I do not say this lightly. More research is needed. I am hoping that we will know with absolute certainty whether parabens will cause cancer (right now, it looks like they do not, based on perr reviewed scientific studies) or whether formaldehyde releasers will make you grow three heads. Until that time, what we DO know, is that there is great risk with improperly preserved products. I have been very critical over the years of certain synthetic ingredients--but have always spoken about the need for preservation and product safety. More and more websites are popping up with stories of the latest "dangerous" or "toxic" beauty ingredient. What worries me, though, is that while everyone is happy to jump on the natural products bandwagon, they are not considering the possibility that they will be, with CERTAINTY, putting themselves at risk of having mold, bacteria, yeast, etc. in their products if they are using preservative-free ones. This is not a better option than the alternative. These are preservatives *I* trust to protect the the products I buy. I am not saying these are guaranteed to be 100% safe. No one can say that. There is not enough conclusive evidence to say that these ingredients will always be deemed safe, but that is the beauty of research & science. The below preservatives WILL protect your products from the nasties, but are healthier alternatives to parabens. The biggest threat to your well being is buying products which are NOT properly preserved. I'd like to look at some preservation myths today. MYTH #1: Grapefruit Seed Extract is an all natural preservative. GSE is not all natural. People often confuse Grapefruit Essential Oil with Grapefruit Seed Extract. The essential oil is all natural and is great for aromatherapy. Actually, the name Grapefruit Seed Extract is misleading. One would assume that GSE is pulverized grapefruit seeds. It is anything but. What is Grapefruit Seed Extract then? GSE actually comes from chemically-altered grapefruit seeds which have been treated with Ammonium Chloride via a chemical process. Does GSE preserve products in any way? Not really. Some people believe GSE may be mildly preservative, but research has consistently shown that it is ineffective and that it is actually the tainted chemical components used to preserve the GSE itself--including triclosan, benzethonium chloride, and methylparaben-that are doing the tiny bit of preservation. In other words, a paraben-free business may be using GSE which actually might have parabens in it. Kind of defeats the purpose, no? MYTH #2: Vitamin E and Rosemary Oleoresin Extract are all-natural preservatives. Wrong again. These 2 ingredients are antioxidants. Antioxidants are good. They help fight free radicals. When used in a product, it can help to protect your more sensitive oils from oxidizing and becoming rancid. It is NOT a preservative. I used to use ROE in my eye balm and sleep balm back when I was formulating --not to preserve (as there is no water & oil mixture to require a preservative) -- but to protect the oils. MYTH #3: Herbal tinctures and extracts are natural preservatives. When you see an ingredients listing and a product description indicating that the product is all-natural and preserved only with herbal blends, extracts, and tinctures, this is very misleading. 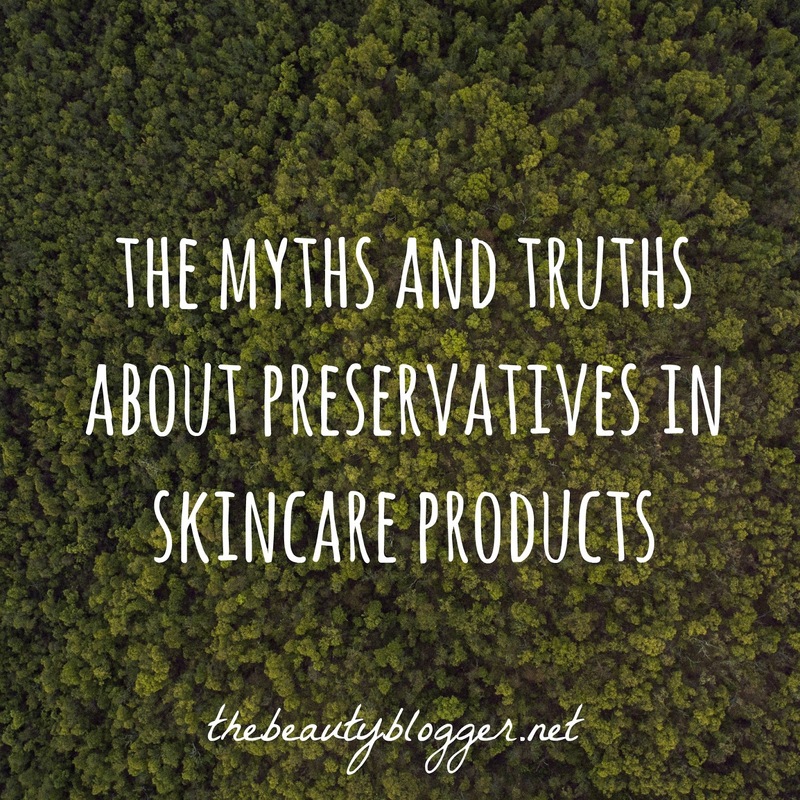 What is not being revealed on the ingredients list is that it is only a "preservative" because some tinctures and extracts are preserved in butylene and propylene glycol. In other words, that "natural" ingredient used to "preserve" your product actually contains about 50-75% synthetic ingredients. Butylene and propylene glycol aren't evil either, by the way. They still won't preserve effectively. MYTH #4: Grain alcohol is a safe, natural preservative. No! Grain alcohol (ethyl alcohol) is NOT an effective preservative. While it is antibacterial, it would need to be used at a level of around 70% in the product to be effective. I don't know about you, but if I put a product with mainly alcohol on my skin, it would be drier than the Arizona desert in the summer time. Even if you would venture to try using it on your skin at such a high level, it will not protect against mold, fungus, and yeast.